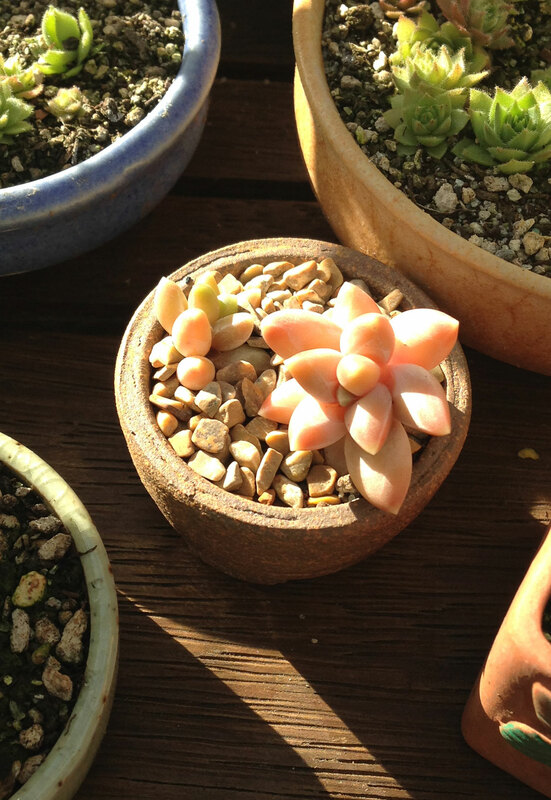 Small but beautiful pair of succulents (Pachyphytum Compactum) in great little hand-made pot. Pot is maybe 6cm diameter. I like the geometric camouflage-like match between the stones (from China) and the plants, and the pot. The two plants are carefully wired into the pot to ensure they don’t come out while they root into the soil. This is another Mexican species, related I believe the Echeveria. See also, this post.